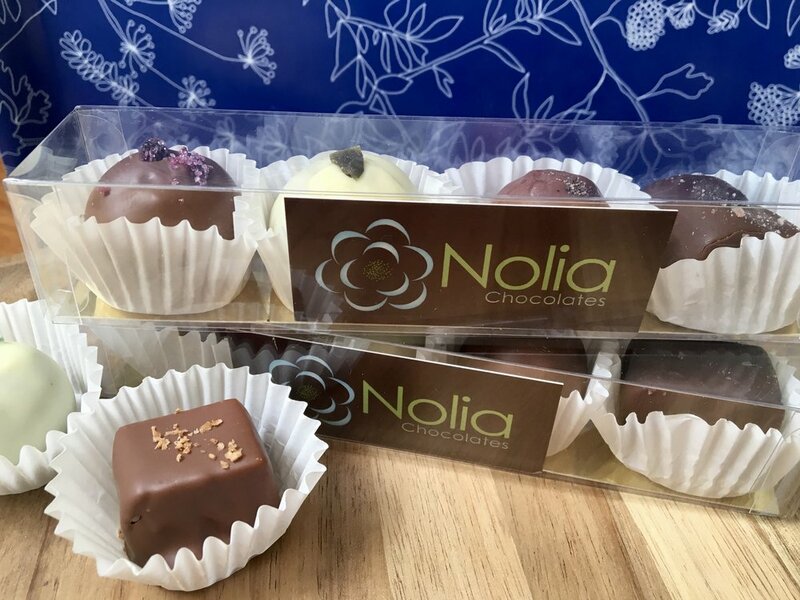 Whether you are planning the event of a lifetime or a holiday dinner party for family and friends, Nolia Chocolates are a treat for any occasion. We’d love to be a part of your special event. From single truffle totes to trays of caramels and truffles, orders can be customized with themed stickers and ribbons - including corporate logos - to match your celebration! We can arrange a private tasting to help you decide on the perfect flavors and volume discounts are available. Our two-piece boxes also make delicious holiday table place settings or stocking stuffers while our 4 and 6-piece boxes are ideal host or teacher gifts.